This entry was posted on Wednesday, December 14th, 2011 at 05:45 and is filed under Barack Obama, Congress, Economics, Law, News, Politics. why don't the coal-fired plants "go Galt" and ignore the EPA? What are they going to do, fine them??? PS – I totally agree with you – Obama may not be the brightest bulb, but he is definitely malevolent and cunning. He is no longer even pretending to do what is in the best interest of this country. I never believed he was merely incompetent, but trying hard to do what he thought was best for us. He wants to destroy this country. He is a traitor, and should be run out of this country on a rail. I used to be one of the people who thought "it can't happen here." There was a time when that belief was true. I spent too many years of my life not seeing what was right in front of me because of that belief. The first time I realized something was wrong was when the smoking ban took place in my state. I know it wasn't a big thing to some but I saw something more ominous. I told friends that this was just the beginning. That it would grow bigger and bigger. They never took me seriously. What's sad is the majority of them still don't or won't see what's happening. I am absolutely astounded that these people do not want to stop for one minute and see that their lives will be drastically changing in the months and years to come. 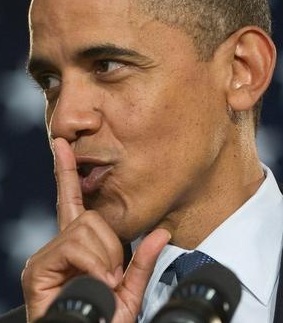 The very first time I saw Barack Hussein Obama I knew, I just knew trouble was here. I just sat and stared at him (that was a time when I could actually watch him without getting physically ill) while he talked with a horrible feeling in my gut. When he was elected I went out on my porch and cried. I actually cried. I've never cared enough in the past to get that upsed by an election. My husband came out and sat with me, just as upset but he's very stoic. He knew that the fight had begun. The pipeline is just another nail in the coffin of the United States of America. We all know that this will never be allowed. He won't allow it. Whoever is behind him telling him what to do won't allow it. We are supposed to go down in flames and until we all finally get together and stop this madness that is exactly what will happen. We have a duty to take care of this great gift we call our country. We have a duty to God, to ourselves and the RIGHT to replace a government that has become too powerful, too evil and is doing great damage to our country. When will we use that right and stop the imminent death of the United States of America? Thank you for your writings, Mark. I always look forward to reading them. Kind of adding to what Tracy has said here….this all goes back to Mark's 'big government' post from yesterday. Real conservatives who remain in the GOP need to purge themselves and get back to constitutional government. There is a lack of responsibility in Washington today and much it is due to ignoring the rule of law. How do we impose our will on the federal government? The Constitution is key. We need leaders who will insist on constitutional government . Those who will take their oath to the American People seriously. Currently, I feel that there is nothing else that we citizens can do to stop what's happening. "There is a lack of responsibility in Washington today and much it is due to feigned ignorance of the law." If he can manufacture crisis after crisis, then he will be able to impose martial law and suspend the 2012 Election. Do I believe that he would go that far? Yes, I do. But I can't say with certainty that he will actually do such a thing as suspend a national election. Anyway, if Obama continues to choke the economy, America will become a Third World country.